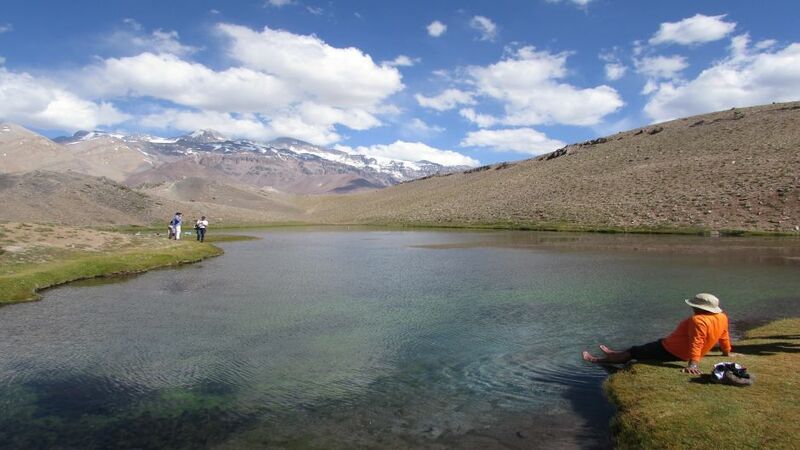 Do not be a tourist anymore, go further than others and know the heart of Los Andes. 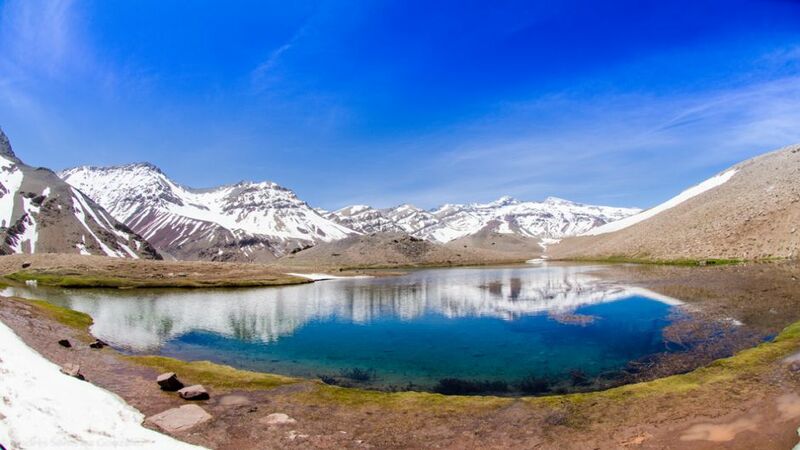 This is how we define our excursion, where everything starts when our driver-driver will pick him up at 8:00 a.m.
Our trip continues through the caipo del maipo, until we reach the plaster reservoir. 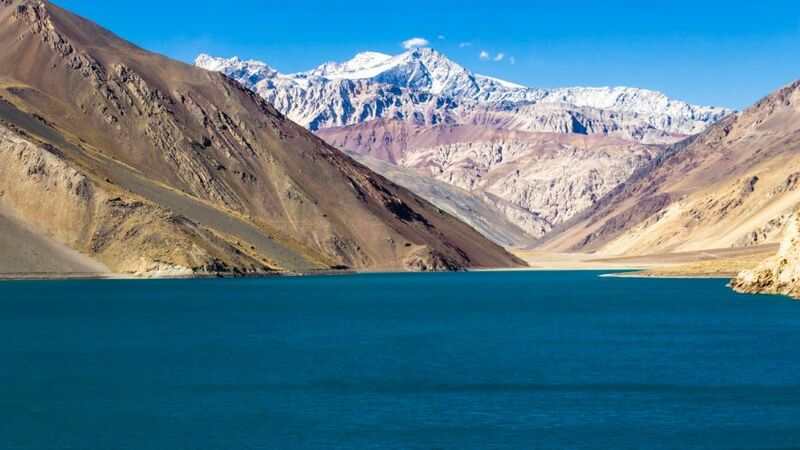 Up to this point we will do what everyone does ... take a picture with the majestic Yeso reservoir, but that alone is the starting point of our adventure. 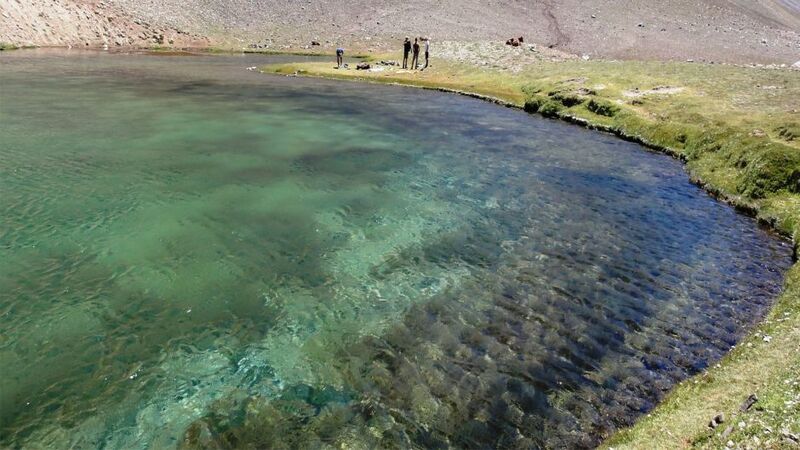 We will continue our journey, skirting the whole plaster reservoir until crossing a river in our 4X4, if all the passengers agree to take risks and if the depth allows it we will cross the river and continue to the Termas del Plomo. 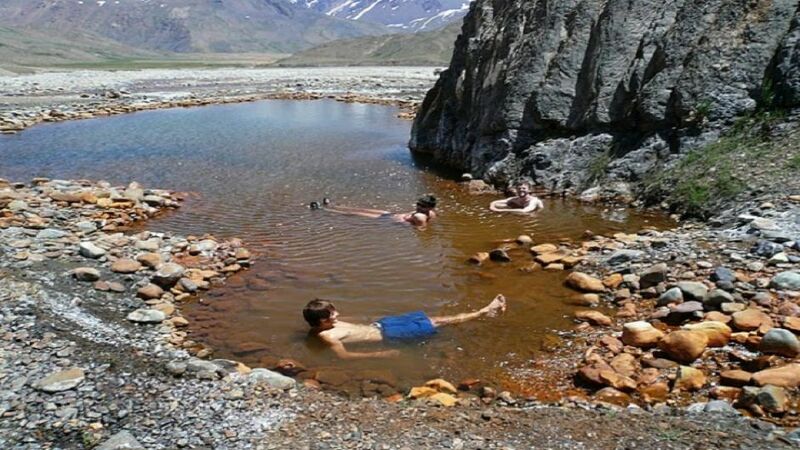 In the Termas de El Plomo, people who do not want to trek can enjoy these hot springs that sprout from the interior of the earth. 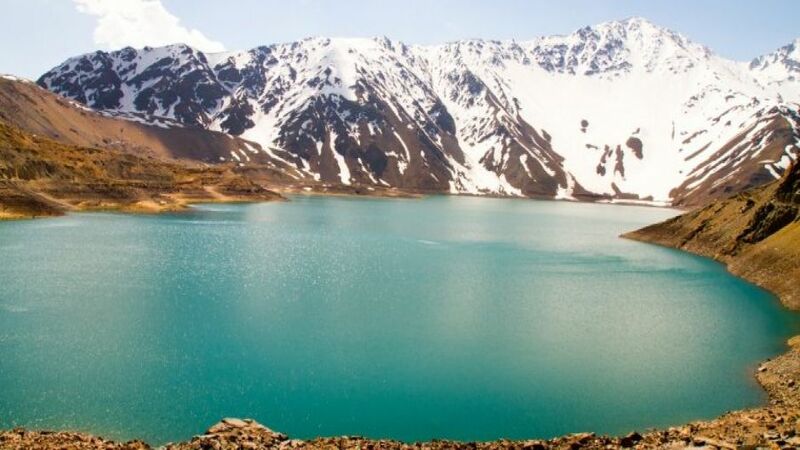 For those who want to do the trek, we will go through the Valley, after 1.5 hrs. 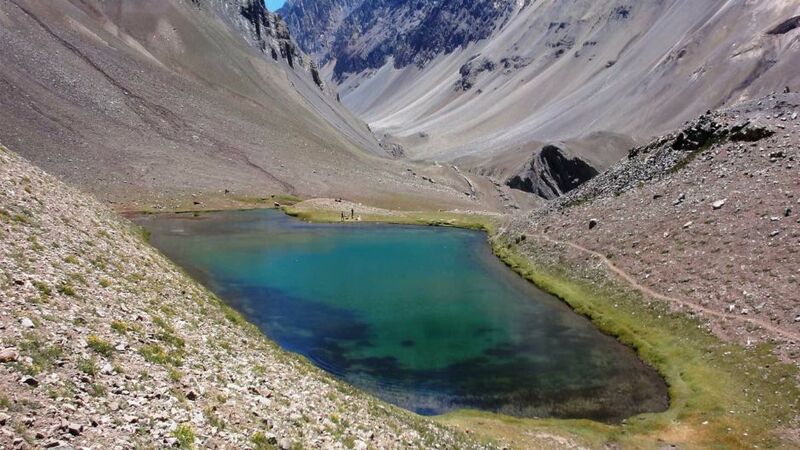 get to our destination ... "La Laguna de Los Patos". 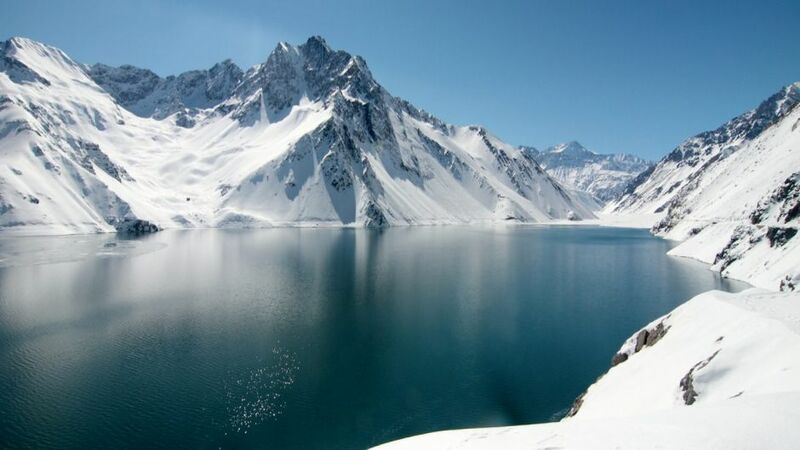 Once in the lagoon, we will enjoy a Box Lunch, and those who wish will be able to taste their bravery by diving into its icy cordilleran waters, coming from thaw. 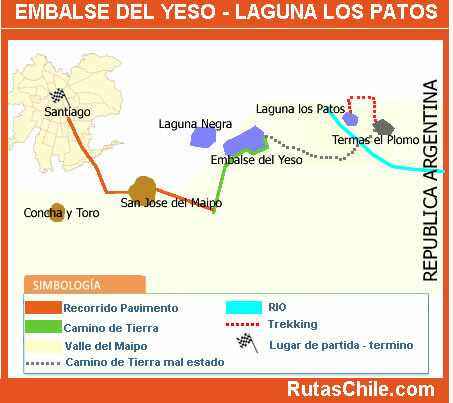 After a while we will begin to descend to our 4X4 to return to Santiago at sunset.